On Monday, Saudi Arabia said it would start reopening some sea and airports, but aid workers are still reporting difficulty in providing food and medical supplies to nearly 20 million people who need help. Al Jazeera reports that the main entry point for aid, the Red Sea port city of al-Hudaydah, remains closed. Saudi Arabia shut down land, air and sea routes into Yemen last week after its military shot down a ballistic missile aimed at an international airport in the Saudi capital, Riyadh. The Saudi crown prince accused Iran of supplying the Houthi rebels — the Shiite militia that controls the capital and much of Yemen — with the missiles. A proxy war between Sunni-controlled Saudi Arabia and Shiite Iran has played out in Yemen since March 2015, when a Saudi-led coalition intervened in the conflict between Yemen’s exiled government and the Iran-backed Houthi rebels. More than 10,000 civilians have been killed in the war. At least 7 million people are reportedly on the brink of famine as drinking water and food is in short supply due to the blockade. Muhrez says residents are relying on food rations from the World Food Program and other aid groups. The Yemeni medical system has also collapsed. The World Health Organization estimates at least 14 million people lack basic health care and an outbreak of cholera has spread to more than 900,000 suspected cases. “We have made progress, and there have been fewer deaths from cholera in Yemen, but we will suffer a major setback if we don’t have full access to all affected areas,” WHO tweeted last week. Cholera is treatable, but also preventable if people have access to clean drinking water, Muhrez says. Muhrez explains that cholera spread so rapidly because clean water has been out of reach due to rising prices, lack of fuel to deliver it and now, the blockade. 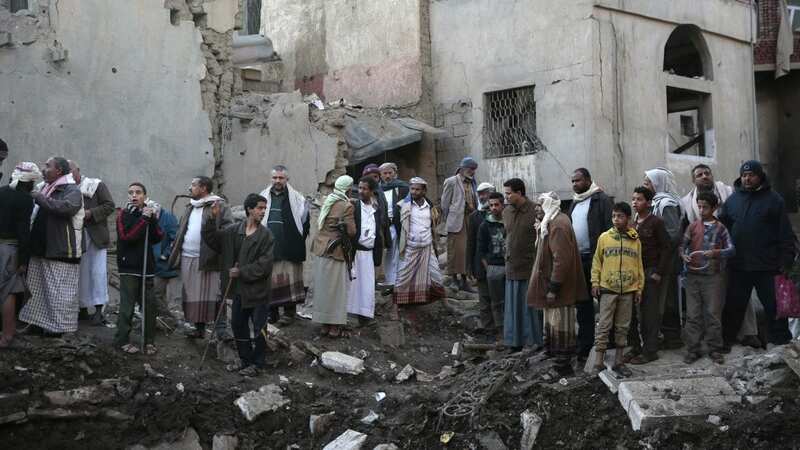 The U.S. is also facing criticism for providing support to the Saudi bombing campaign in Yemen. This week, Democratic Sen. Chris Murphy called on the Senate to follow the House of Representatives, which passed a resolution on Monday that says the U.S. military is not authorized to assist Saudi Arabia in Yemen. The House concluded that the Authorization for the Use of Military Force, which was passed after the Sept. 11, 2001, attacks, does not permit the U.S. to fight the Houthis in Yemen. The war in Yemen is driven by 32-year-old Saudi crown prince Mohammed bin Salman, who launched an aggressive anti-Iran campaign after he became first-in-line to the throne January 2015.